Autism is a neural development disorder that is characterized by impaired communication, social interactions, repetitive behavior, mood alterations, metabolic and digestive issues. There is also autism spectrum disorder that who describes several conditions categorized under neuro-developmental disorders. The key features of such disorders include communication difficulties and social deficits, stereotyped or repetitive behaviors & interests, sensory issues, and in a few cases, cognitive delays. All these symptoms become noticeable generally in the initial two years of childhood, affecting information processing in brain by means of altering the way nerve cells connect as well as organize. Genetic components as well as exposure to external agents which cause birth defects appear highly possible causes of autism. Heavy metals, pesticides and immunizations that contain mercury (rubella, mumps and measles), and antidepressants during pregnancy may also play a role in causing the disorder. Over half the children that are diagnosed with Autism are typically prescribed psychoactive drugs and/or anticonvulsants. Patients usually respond uncharacteristically to medications – the medications may have adverse effects; plus, there isn’t any known medication that relieves autism’s core symptoms – social and communication impairments. Well, good news for sufferers of this disorder and their families is Stem cell therapy. It appears to be an effective medical approach to treat autism. The therapy is based on the distinct potential of the stem cells to influence immune system, metabolism, and restore the damaged cells and tissues. Stem cell therapy positively affects all the body systems and organs, including the principal organ – the brain. As you are aware of, when autism affects a person, areas of the brain that regulates memory, concentration, speech and attention are damaged. Stem cell therapy enhances blood & oxygen flow to the brain (enhanced perfusion), replaces the damaged neurons and induces the formation of new arteries. Then, after some time, these stem cells tend to acquire the properties of the cells surrounding them and then multiply into these cells. As a result, white and gray matter is restored and consequently, neurologic symptoms subside and intellectual capacity improves. 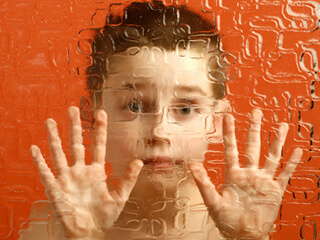 On the whole, stem cell therapy is a safe and effective method for treating autism. It can help a lot of children suffering from autism as well as autism spectrum disorders of varying degree. But, one should remember that stem cell therapy is not the sole course and should be integrated with other therapies. Stem cell therapy is typically integrated with diet and educational programs so as to get optimal results.